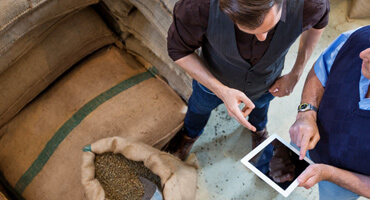 DistributionBecome a Musetti Partner: find out how! 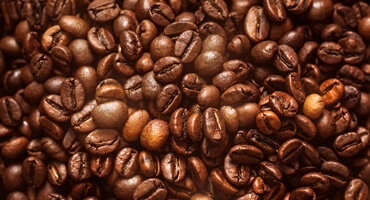 The coffee world is made up of many aromas and flavours. Musetti has taken from this world their precious blends, each one different from the other and each with its own character, to satisfy all the tastes. The coffee you wish, grounded for moka or espresso, discover the Musetti bricks and tins, because every moment is the right one to enjoy your coffee by yourself or with somebody else. 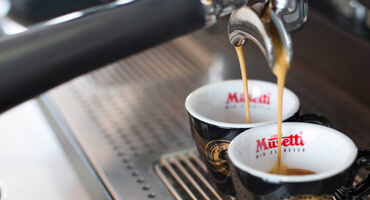 Musetti offers a better and careful selection of beans to produce exclusive blends to meet each other’s tastes. Give yourself a treat with the pleasure of a Musetti fresh made coffee and enjoy an unique sensory experience. 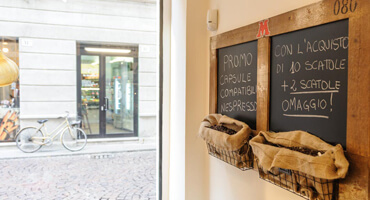 Discover the Musetti coffee pods, so many blends to satisfy all tastes and the most refined palates. Only single serve pods, carefully balanced, grounded, pressed and enclosed between two filter paper layers following a special procedure in protective atmosphere. All the quality of the Musetti coffee in compatible capsules Nespresso® and Lavazza a modo mio® coffee machines. So many aromas for a sensory enjoyment. 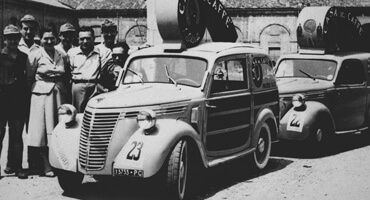 The capsules production is independent and nor directly neither undirectly related to the Nestlé s.a. or Luigi Lavazza S.p.a. companies. To celebrate his 80th birthday, Musetti creates the Gold Cuvée blend. Selection of Achilles Musetti: this blend contains precious coffees. Mixture of Precious Coffee 100% Arabic, Special Quality Certificated. Only the best grains from Ethiopia, Kenya, Brazil and Guatemala. Blend of precious Arabica coffee beans, with refined and pleasing taste. The creamy coffee blend Musetti with an intense and balanced taste. A blend of coffee that enhances the quality and flavors of its beans. A timeless and non-trivial blend of harmonious and creamy taste. A great, timeless classic Musetti blend. The blend that combines the tastiness of coffee with the kindness of a gesture to the benefit of all. Many exquisite flavored coffees for those who love to experiment. Mix with less than 0.1% caffeine, 100% traditional taste. Fill in the form and get our prompt answer! Sign up for our newsletter to keep up-to-date on the latest news in the world of Musetti and on promotions! I agree to the terms and conditions of privacy, read the information. Find the product you like among Musetti range! Do you want to join the great Musetti family? Become a Customer in Italy or Distributor abroad! I agree to the processing of the personal data contained in the present form. Send us your CV at career@musetti.it, specifying the position you are interested in or fill in the form below.